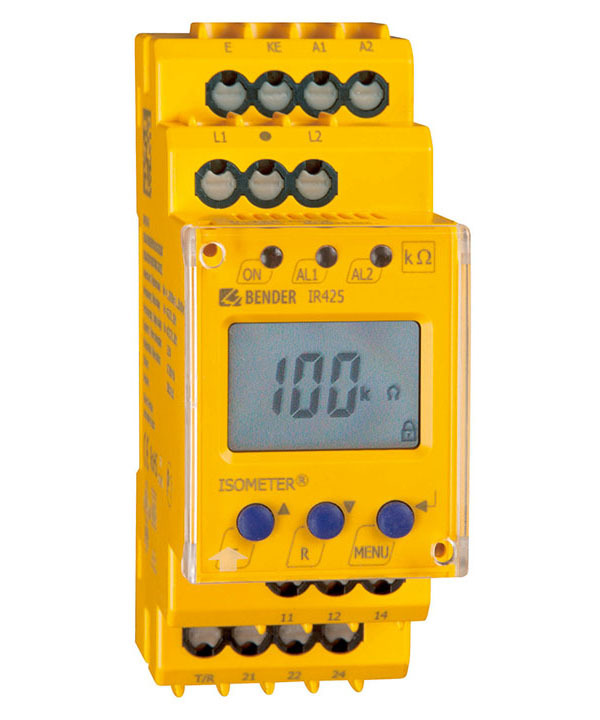 The ISOMETER® of the IR425 series is designed to monitor the insulation resistance of un­earthed AC/DC control circuits (IT systems) 0…300 V. DC components existing in AC/DC systems do not influence the operating characteristics. An external supply voltage allows de-energized systems to be monitored too. AC/DC control circuits in the industrial sector, mechanical engineering, power plants, elevators, automation systems etc.